How I Met Your Mother Quiz: How Well Do You Know Robin Scherbatsky? "I love a Scotch that's old enough to order its own Scotch!" Created by Craig Thomas and Carter Bays, How I Met Your Mother was one of CBS' most popular sitcoms of the last 15 years. Released back in 2005, it ran for nine seasons before coming to a conclusion in 2014. The plot of How I Met Your Mother is centred around the protagonist Ted Mosby and his friends living in Manhattan, New York, following the story of how Ted met the mother of his children and is told through stories by an older Ted talking to his two children in 2030. The biggest theme in this sitcom is love, and the first love interest Ted finds is Robin Scherbatsky, a cigar smoking, whiskey swilling, gun-toting Canadian who has just recently moved to New York. Robin is a fiercely independent woman who presents an image of strength and self-reliance, although deep down always craves affection and approval from her father. 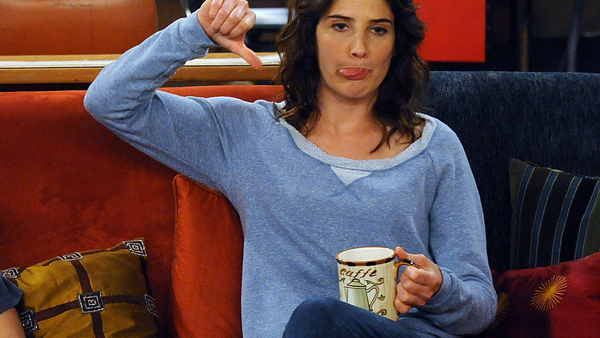 How well do you think you really know Robin Scherbatsky? 1. What Is Robin's Middle Name?